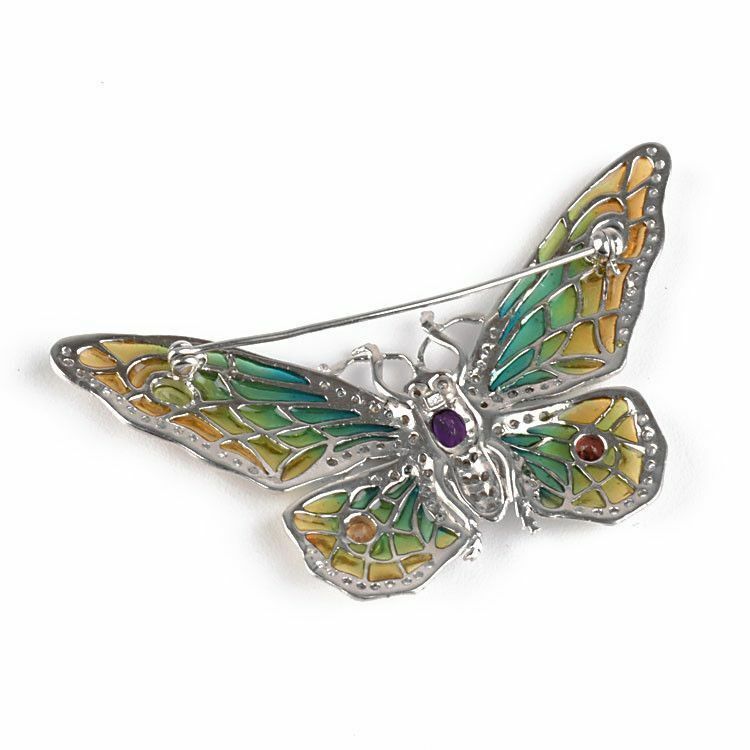 This large butterfly pin offers the most intriguing fashion looks. It is set in a framework of sterling silver. The formation of butterfly's wings patterns is like a puzzle. 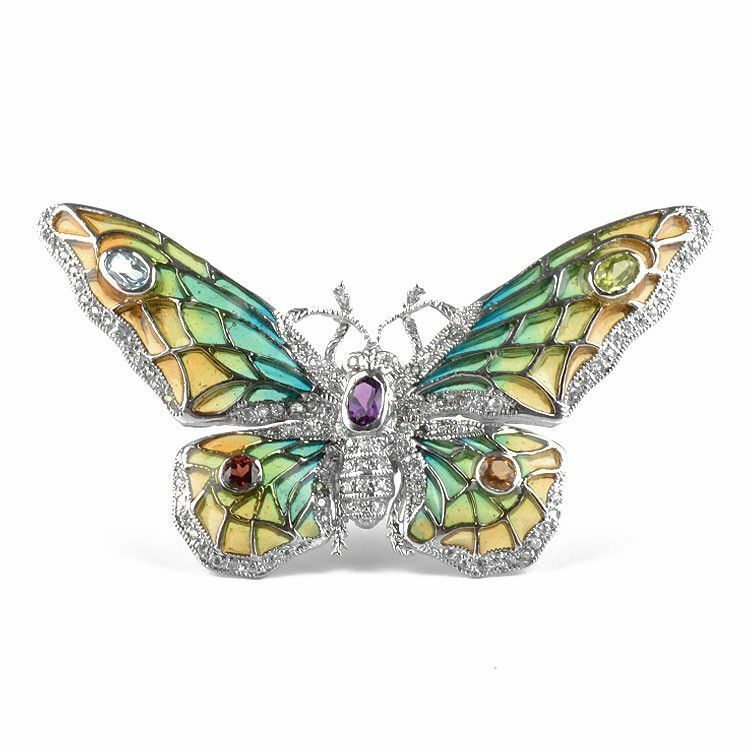 The artist skillfully filled the cells of the wing with colorful gradient colors of special resin and adorned with five handpicked and polished gemstones: Amethyst, Blue Topaz, Peridot, and Ruby. 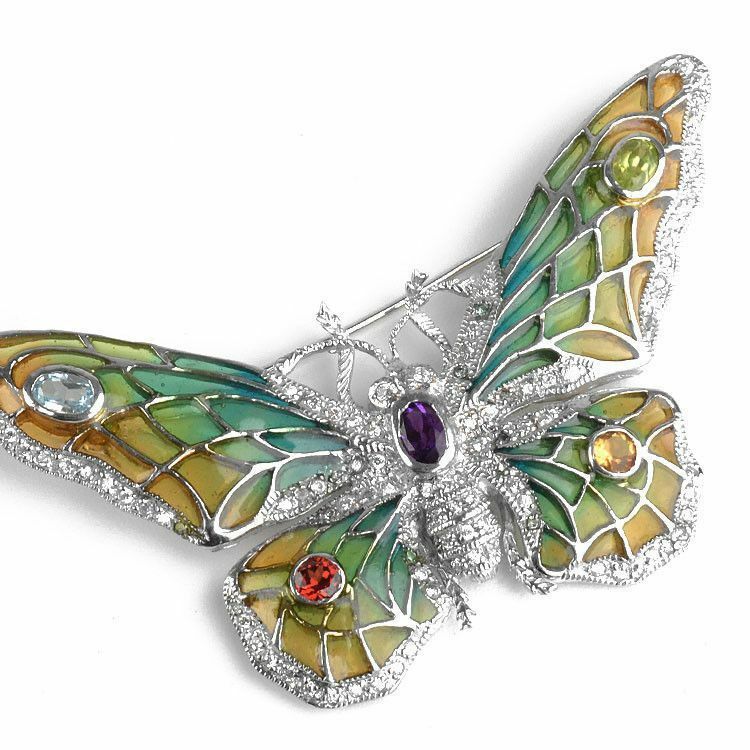 The body and the edges of the butterfly are paved with white CZ stones. Measure about 3" x 2" in size, large enough to make it a conversational piece. Brooch measures about 3" x 2"